Petrolimex “official listing” on the Ho Chi Minh City Stock Exchange (HoSE) on April 1 has caught full attention from investors and media practitioners both at home and abroad. Among 29 petroleum distributors, Petrolimex emerges as a shining star in the field of corporate management, which is recognised and valued by State management bodies and investors. 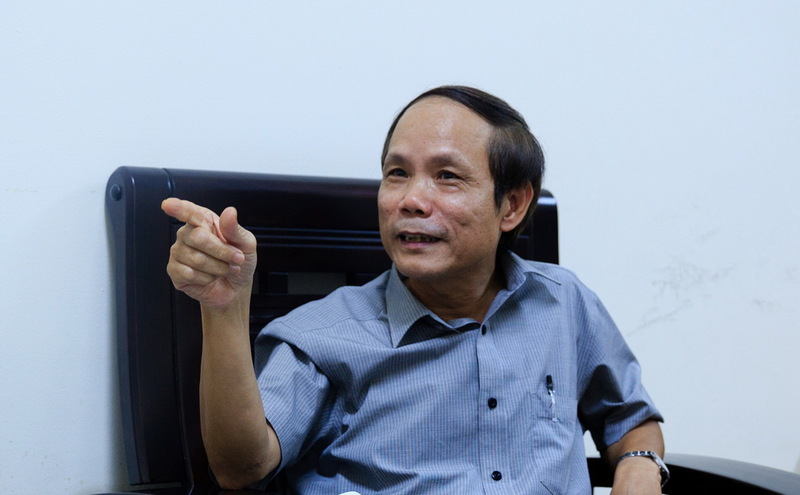 To provide an insight into the interesting topic, Head of ERP Division, the Vietnam National Petroleum Group (Petrolimex/PLX) Nguyen Van Sam speaks to the Cong Thuong (Industry & Trade) magazine. Could you please let us know why Petrolimex “had to” apply information technology into its administration activities? Nguyen Van Sam: As far as I’m concerned, for Petrolimex there is nothing “compulsory” and “imperative” in the application of information technology in corporate management. This is our enterprise’s actual requirement for development and vision. Once information technology (IT) in which computers/laptops and the internet are based has become a progressive trend of the world, Petrolimex will follow suit. We always look outwards to learn from and acquire world quintessence. It is delighted that Vietnam has also advanced in this area. However, it is noteworthy that Petrolimex has taken the lead in [IT application]. At present, we are operating two significant systems, that is: ERP – enterprise resource planning and Egas – the software for oil retail station management. ERP and Egas are essential tools to effective corporate management, especially for a Vietnam’s leading economic Group with a wide range of goods and services distributed across the country as widely known among the public. Petrolimex took a proactive approach to apply IT right at the end of the “State subsidy” period, which strongly developed in early 1990s of the 20th century. It has been taking shape for years, which means our current sound corporate management system does not come into existence by chance. Recently, it is widely talked about economic development in the Industry 4.0 featured with robots, IoT, IoS, and so on. As the first enterprise that successfully put into operation the ERP and Egas, Petrolimex even applied the systems in Laos. Is there any connection between ERP and Egas with IoT and IoS? Nguyen Van Sam: IoT is the Internet of Things and IoS is the Internet of Services – the basic characteristics of the fourth industrial revolution (Industry 4.0). Our ERP and Egas systems use instruments, software, computers and the Internet to connect pumps, warehouses/tanks, petrol stations, and computers to establish data to serve the administration work promptly and precisely. In addition, this sort of automation is also used in charging petroleum into and discharging petroleum from oil depots; searching for Petrolimex petrol stations through smart phones, and others. We are going to launch the e-invoice programme, and open the POS terminal for bank card payment. That is to say, ERP and Egas are exactly IoT and IoS. That is 4.0. We lack nothing but robotics to keep pace with the most advance technologies of the world. To make it understandable, could you elaborate on what ERP and Egas and how they operate? 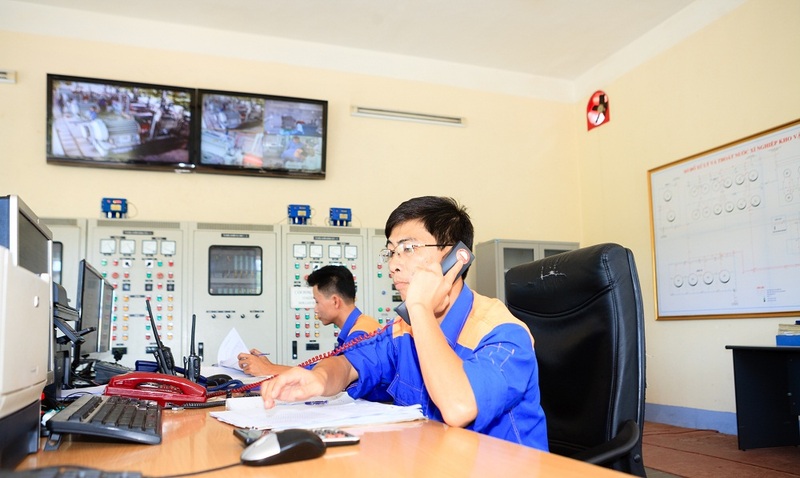 Nguyen Van Sam: In a simple and straightforward way, many of our previous works manually done are now done by equipment, software and automated lines. Let’s take an example, the measuring of a tank (capacity, temperature, density) to calculate inventory. Previously, workers had to use hand meter to measure the bank twice a day, during periodic inventories or before any price change. The measurements are then calculated for new data. The data will then be updated, printed, stamped and sent by fax and post (original version); once received it must be updated into the general table to have data for the whole sector. Because many people are involved and there are various steps, this process is very time consuming and there may be errors at some stage, for instance, figures cannot be read clearly because of blurriness, so it needs great effort to check the figures many times before making a final report. Nowadays, tasks mentioned above are calculated automatically by devices and software and transmit one-source information consistently throughout the system. Devices and machines, of course, have the advantage of being much faster than humans – it can be said that they could provide data instantly and accurately. So, leaders and managers at all levels can make specific decisions in administration to produce optimal economic efficiency. So, we can timely fix price across the country within one hour since we receive directions from inter-ministerial and the Group leaderships. So, we can make financial statements within the time limit stipulated by the listed companies in accordance with regulations. At present, Petrolimex has applied ERP and Egas in 112 service stations of 76 member companies with over 1,400 users; functional module: FI/CO/CS/MM/SD/TR, administration report 364, standard report SAP-170; number of unified business processes 161; integrated the automated petroleum charging and discharging system in depots: 20 automated warehouses/42 warehouses; integrated data of more than 2,400 petrol stations across the country. Could you please let us know the effects of ERP, Egas application in Petrolimex? Nguyen Van Sam: In my opinion, the effects of applying ERP and Egas are huge. It saves labour costs but brings about the fastness and precision of information, enabling the making of best decisions on managing professional activities. Till now, Petrolimex has applied ERP and Egas in key business areas, in which transactions and professional information on petroleum business and financial profession are concentrated onto the system throughout from the Mother Company to member companies, branches, enterprises, and depots/warehouses of Petrolimex to support the corporate planning, management, and improved competitiveness. Concurrently, the systems help define work responsibility to control and facilitate the leadership to supervise the Group’s operations. Information in the concentrated system is in terms of inventory, debt, purchase, and sales, and so forth; firmly take hold of resources to make policies and make proper management decisions; and provide instant reports to timely disclose information on cost price, cost, revenue, and profit which to the public in a transparent and timely manner. Additionally, the ERP and Egas systems are able to control the compliance and enable management levels at the Group/member companies to detect specific mistakes and to assist units/users to timely correct the mistakes. When needed, it is possible to trace back to every detail. The interconnected process forces the whole staff to improve the professionalism in co-ordinating/sharing information and supporting each other to detect errors among sections; and improves the compliance as well as the habit to work professionally and collaboratively from the very beginning in order to limit the practice of only correcting the wrong when found. In the coming time, Petrolimex will take the lead in allowing payment through POS terminal, promoting the development of non-cash payment in petroleum trading, could you please detail how the payment mode works? Nguyen Van Sam: Customers with debit cards issued by member banks of NAPAS (the National Payment Corporation of Vietnam) can use the card to pay for any purchase at petrol stations. The POS (point - of - sale) terminal at petrol stations will automatically make electronic funds transfers, transmit data to the cardholder’s banks account as well as to the card-issuing bank’s system to control information related to the payment. It is similar to the way we use bank cards to make purchases at supermarkets, etc. Customers no longer worry "where to fill up?"